This morning I joined a group of friends on a walk to the next village along the coast for lunch. ‘The Ramblers’, as it’s affectionately known, meets most Tuesday mornings but we all dip in and out depending on whether we’re free or not. The walks generally take a few hours and are punctuated by a coffee or lunch stop. It’s a lovely thing to do – walking in this beautiful countryside with friends, taking in the scenery, catching up, discussing our news, laughing. 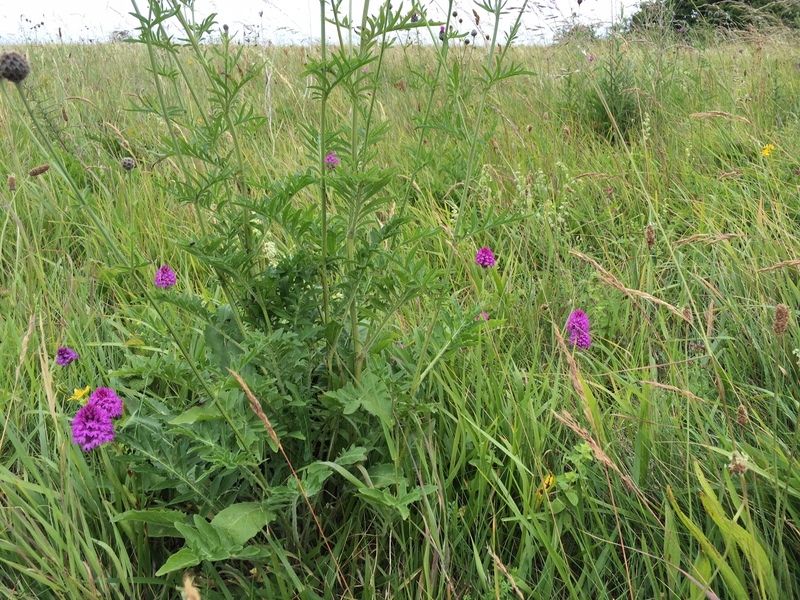 I’m not sure whether these are cultivated escapees or wild peas. Beautiful nonetheless. The cliff path, on National Trust land, is a well-worn trail. Sometimes it gets quite close to the edge. This area on the beach is an SSSI (Site of Special Scientific Interest). Look – another black shed! 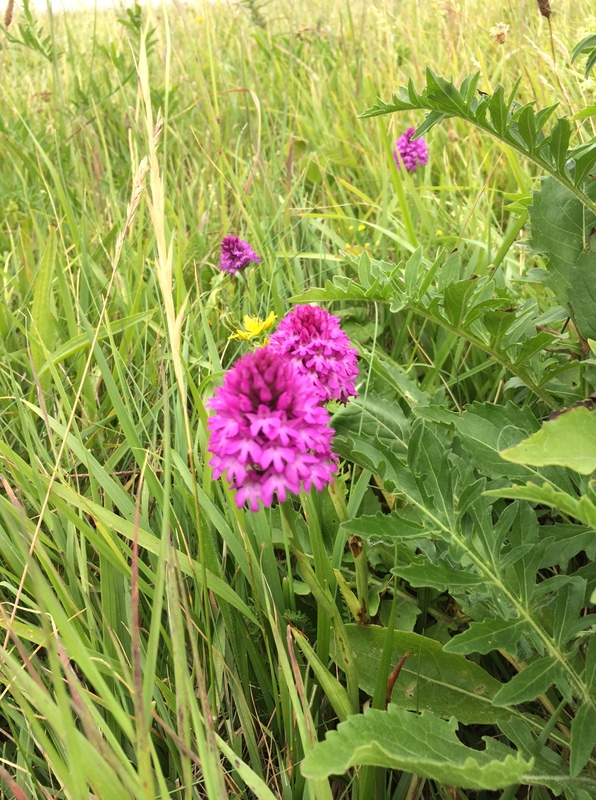 Pyramidal orchids – found on chalk grassland – are in abundance this year. The heavy rain that was forecast didn’t happen, we saw the most stop-you-in-your-tracks, gobsmackingly gorgeous carpets of wildflowers, we walked off the chips we ate for lunch and we put the world to rights. There can’t be many better ways to spend a Tuesday lunchtime. 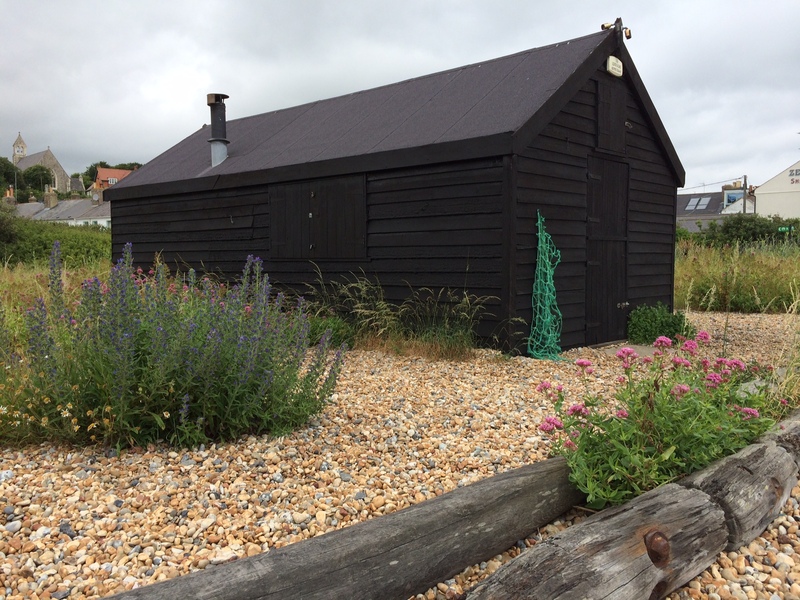 black shed and gravel, homage to Derek Jarman? I think black-clad buildings have been around in this part of the country for a long, long time. But, yes, it is very ‘Jarman-esque’ isn’t it! Deep breaths and more walks along the cliffs. Those views will soon clear your head. I know just what you mean though, the mere sight of that spinning wheel of doom sends me straight into orbit. Good luck. Surely you have back-ups of everything! No, me neither. 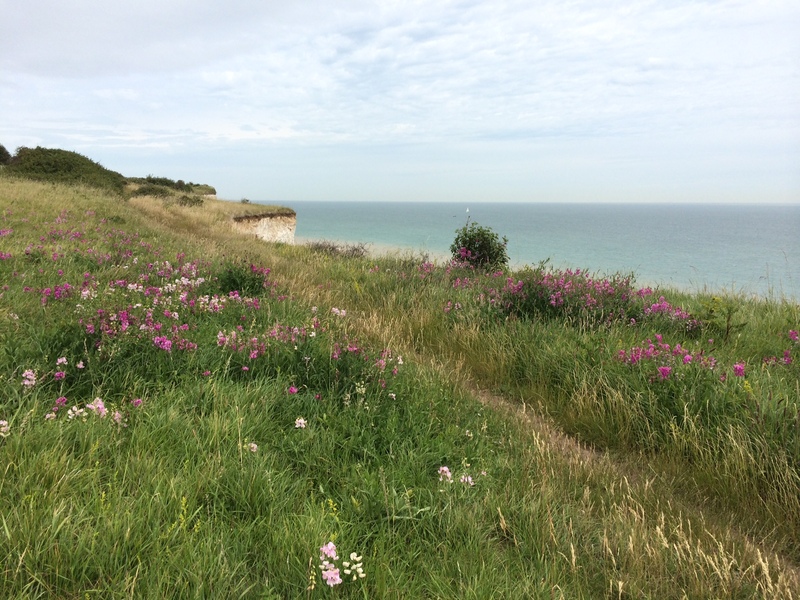 It looks a fine walk – the wildflowers are particularly good at the moment aren’t they? Ahem, no… Very daft of me. Rule number one and all that! Luckily my genius husband has found a way of retrieving stuff from the old, broken hard drive so I think it’s all ok. Phew. Yes, the wildflowers are spectacular at the mo. 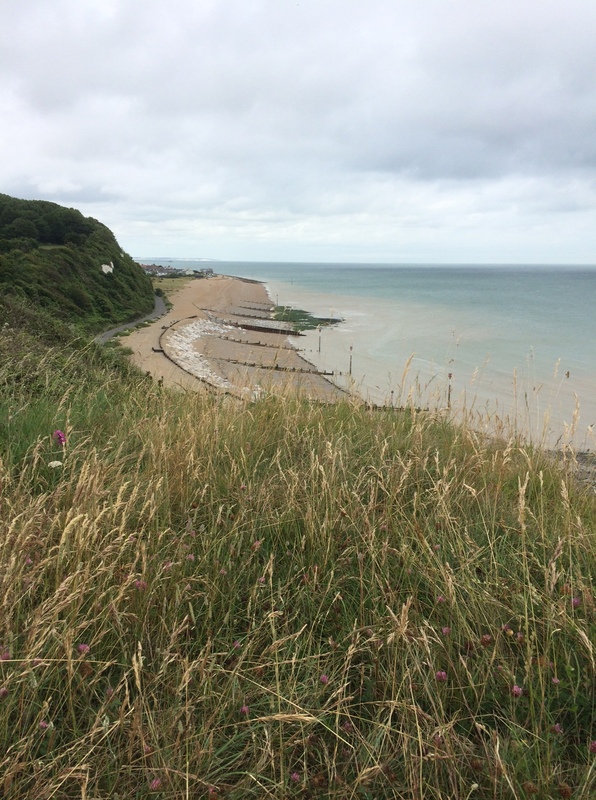 You are so lucky to have a cliff top walk on your doorstep. 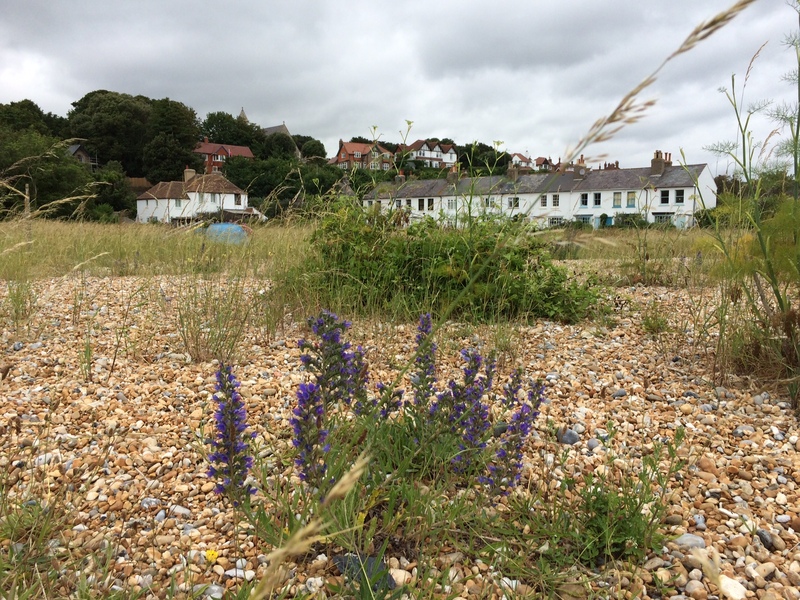 The flowers are beautiful and I’ve been racking my brain trying to think of the name of the blue one in the beach photo, is it Echium vulgare or Viper’s bugloss? I see it on the Chalk here but I think it does grow on the coast in shingle too. I’m pretty sure it is viper’s bugloss (fantastic name). 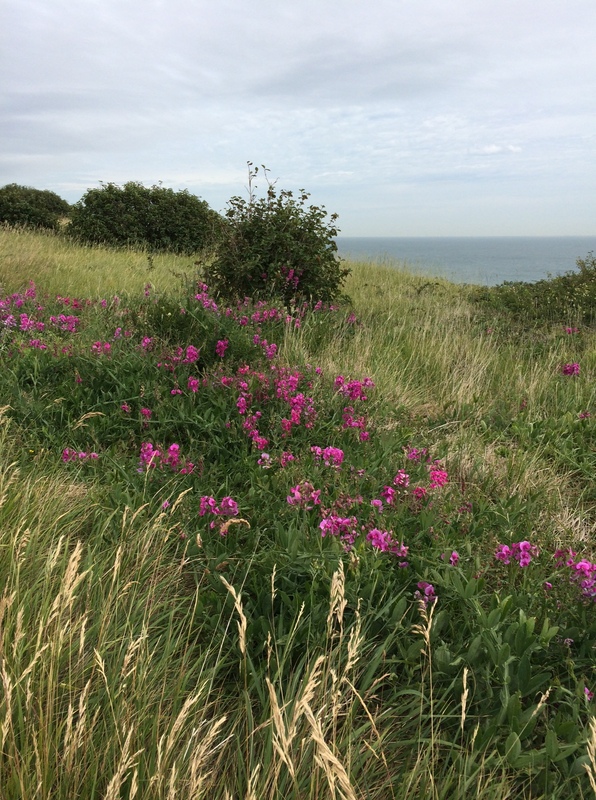 There are big clumps of it on the clifftops and on the beaches. I think it’s a spectacularly good year for wildflowers. I am trying to learn their names. Fantastic coastal scenery, what a lovely place to enjoy with friends. Beautiful area. I’ve never seen sweet peas growing wild, escapees. or not. 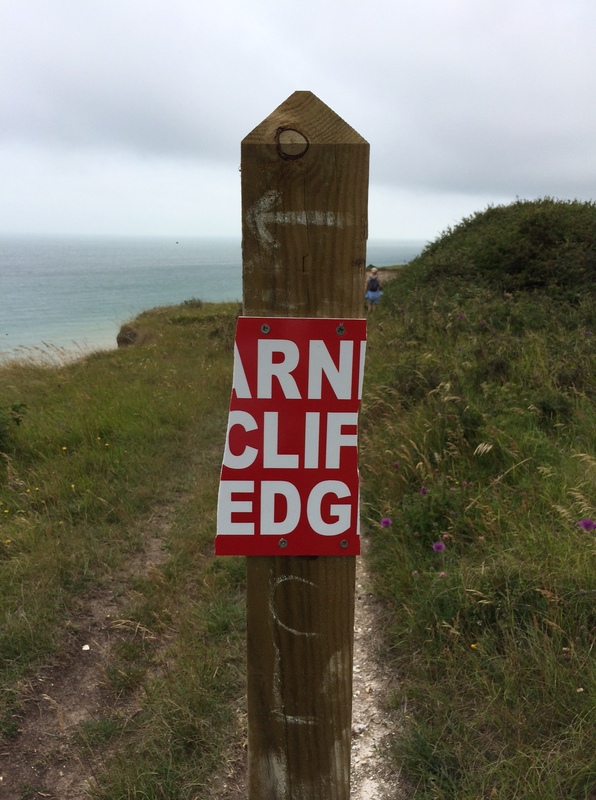 I love your cliff top walk! We have fabulous walking round here too right from the door so I am very lucky but I do love the idea of walking and the sea!